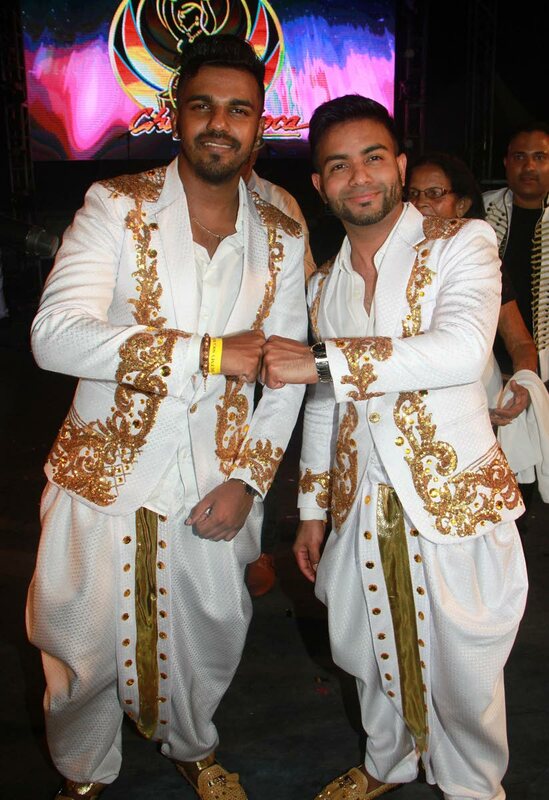 Nishard Mayrhoo and Neval Chatelal celebrate after winning the 2018 Chutney Soca Monarch title at Skinner Park, San Fernando on Saturday. This is how Nishard Mayrhoo felt minutes after copping the Chutney Soca Monarch (CSM) 2018 title with his partner Neval Chatelal singing their song Masala. Although he has been performing since the age of seven, Mayrhoo, 30, said this is the first competition he has ever won. Chatelal said it was a surreal experience to win the competition. “I had the privilege to to take the crown with my brother, he’s a star boy in his own right. He’s been in this competition and he has the experience. I have learnt so much from him by being on the side of the stage, supporting him from year to year and it has been a really amazing experience joining him and to take the crown.” Chatelal said they hoped to take the artform in a new direction. “We have vision for the music to not only remain where it has been in that style of presentation where people will sing about the same thing over and over again. The regular consensus that people have towards chutney music is that it’s recycled and they keep using the same theme. Both men said they planned to celebrate the win with their respective families. Reply to "Winners ecstatic: Surreal, a lifelong dream come true"